Work with Us! I partner with brands that are a good fit for Selkatz, Inc., d/b/a This Old Gal (“TOG”) and my readers. I would enjoy speaking with you about the different ways we can work together. There are a variety of options in teaming up with TOG and TOG would love to establish a long-term relationship with your company. I would love to talk to you about Food, Travel, RV’s, Home Décor/Improvement, Restaurants and more. Giveaways and Product Reviews – If you have a product or service that you feel would appeal to my readers, I’d love to discuss hosting a review and/or giveaway. All giveaways are heavily promoted through social media networks. Editorial policy below applies. Cooking and Recipe Development – Cooking and recipe development is a passion at This Old Gal. Sharing family favorite creations and creating new recipes with step by step photos and instructions brings my readers right into my kitchen and home. I would love to bring your products into my kitchen and share with my readers! Sponsored Posts – If you are interested in promoting your brand/products to TOG readers, I am available to discuss options for a sponsored post(s). Brand/Product Ambassador – I would love the opportunity to be the face and voice of your brand/product on a long term basis. I promise to promote it through Blog Posts and Social Media, travel opportunities, ad space, and more. Advertise on This Old Gal – I offer a variety of ad options and placement. I would be happy to create an advertising program that is right for your brand. Food Photography and Food Styling – Bring your recipes to life with my personal and relaxed, no nonsense styling. I believe truth in photography is key to happy readers. Video Production and Editing – I would love to create a fun and inviting video for your brand and/or product. Blog and Food Related Conferences – Do you need a food blogger to represent your brand/products at a blog or food related conference? I would be pleased to discuss how best to promote your brand/products. Company/Brand Events and Sponsored Trips – If your company is hosting a food event or planning a press trip, TOG and This Old Salt (“TOS”) would love to be involved and share our experience with my readers. Restaurant Reviews – TOG and TOS love eating and visiting new and interesting restaurants. We now have a section about eating out. If you have a restaurant you would like us to visit, please contact us. Travel, RV’s, Home Décor/Improvement – TOG and TOS love to travel and would be thrilled to share our getaway with our readers. We now have a special section about our travels on our blog(s). If you have a place you would like us to visit, please contact us. As a PR or brand you are welcome to send items and invites for editorial consideration. Coverage on products supplied for editorial consideration is at the discretion of the editor and not guaranteed. Items received are subject to the editorial policy listed below. This Old Gal/Jill does not trade campaign coverage — either here on the site or over on social media — for product, this probably won’t change until the landlord starts accepting product for rent. Jill/This Old Gal does not accept compensation in exchange for a positive review, and gifting a product does not guarantee coverage on this site or in social media. This Old Gal has a great respect for her readers and their time, always expresses her honest opinion when talking about products, and will only recommend to readers items she believes in or uses herself. Products received / events attended as a guest are disclosed to readers and providing an item for use will in no way influence opinions expressed. Products are only reviewed after use, product samples will not be returned. Sponsored posts undertaken as part of a campaign are an investment in time, not advertorial control of opinion / voice. 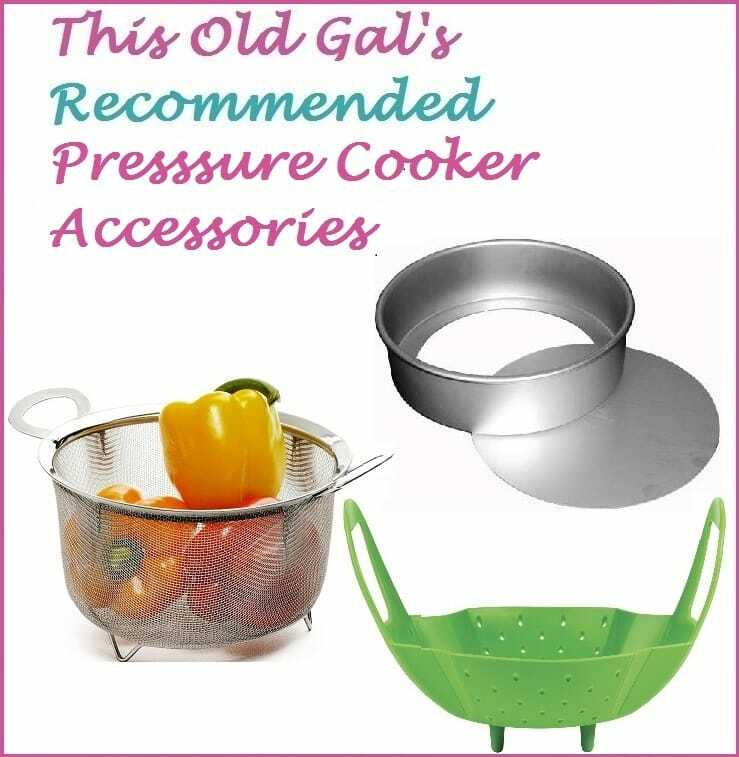 As a food blogger, I have had the opportunity to work with Instant Pot, GoWise USA, di Oro Living, Oliso, MMP Living, Fat Daddio’s, Ekovana, Mealthy and more. Brand Disclosures – I will always disclose to my readers the nature of partnerships with brands. Readers have access to a full disclosure policy found on This Old Gal. I will also include a small disclaimer at the end of any post which is written on behalf of a company or partner, per FTC guidelines. I will make readers aware if money or product was exchanged for the post. Honesty and transparency are huge priorities, as I work with brands, and our readers know that compensation will never buy a positive review. That said, TOG and/or TOS would love the opportunity to promote brands, products and services that are a good fit! At times I am compensated to work with brands and companies on food or travel related projects. Anything provided for review or arranged through sponsorship is mentioned as such, and I never accept payment to publish positive feedback. All opinions across This Old Gal and associated social media platforms are entirely my own. Any products/brands/stuff mentioned on the site and not specified as supplied or sponsored are here because I like/hate/am amused by them, and think you may be too. Selkatz, Inc. is a participant in the Amazon Services LLC Associates Program, an affiliate advertising program designed to provide a means for sites to earn advertising fees by advertising and links to Amazon.com. As part of this Amazon Associates program, the Website will post customized links, provided by Amazon, to track the referrals to their website. This program utilizes cookies to track visits for the purposes of assigning commission on these sales. Selkatz, Inc. is a participant in Rakuten Marketing, an affiliate advertising program designed to provide a means for sites to earn advertising fees by advertising with links to Sur La Table, Walmart and Macy’s.